Nashville, Tenn.-based accessory maker, Griffin, teamed up with Jack White&apos;s Nashville, Tenn.-based record label, Third Man Records (home to The White Stripes, The Raconteurs, Conan O&apos;Brien, and Black Milk), on this unique iPhone case. 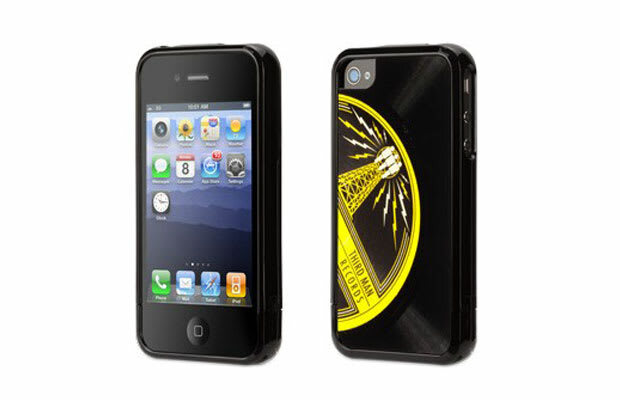 Available in white, yellow, or black, the case combines Griffin&apos;s Elan style, with material from an actual vinyl record pressed by United Record Pressing in Nashville, Tenn. to protect the back of your phone. It&apos;s a hometown affair.